I would have to give credit where credit is due. 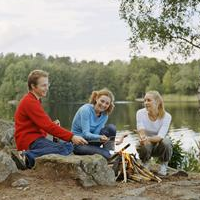 The staff at Canyon Trail RV Park is very pleasant to deal with, and always cheerful. Our first visit here was nearly four years ago and at that time would have definitely been rated 5 stars out of 5. Unfortunately, over the last few years, and our frequent visits, it’s sad to see what appears to be a degradation to the overall quality and experience of staying at this park. They just let things go. From dead trees that still stand to garbage blowing throughout the park daily, it’s apparent that somewhere over the last few years there’s been a drastic shift in management’s concern over this park. Visitors are constantly informing staff of broken and non-functioning laundry machines and disruptions in TV service and complete lack of advertised internet/WIFI services. This is just really sad to see what once was such a beautiful park becoming what seems to be a typical trailer park.